Rugged polyester , skid resistant back. Spot clean. Made in USA. 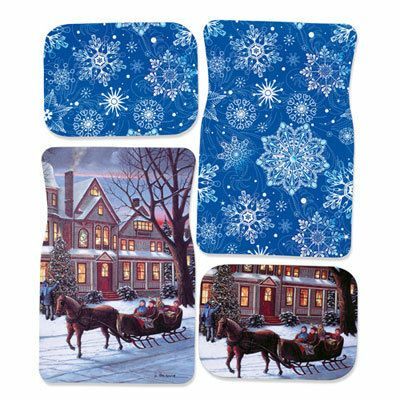 Four-piece set includes two 17" x 25½" front mats and two 17" x 12½" back mats.